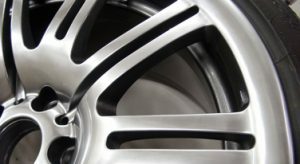 Refurbishing alloy wheels has been our speciality at The Wheel Wizard for over 17 years, allowing us to refine our refurbishing process and provide a first class service where quality is guarenteed everytime. Below are the refurbishment services we provide, making sure there is a particular finish to complete any vehicle. Recent advances in alloy wheel refurbishment technologies make it possible for cracked or buckled wheels to undergo previously restricted repair services. Upon visual inspection our repair specialists are able to test for cracks and will determine whether the wheel is repairable. 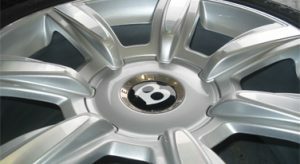 Diamond Cutting is a specialist process that uses the most advanced refurbishment techniques to finely cut back the alloy wheel. 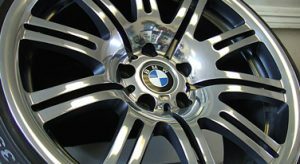 Many car manufactures have been fitting diamond cut alloys to their cars for many years as a way of developing their high end sports model range. 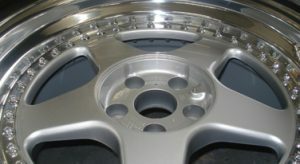 This finish is not recommended for wheels that are suffering from corrosion. Chrome and ghost chrome effects are now very popular with many car manufactures, especially Audi and BMW. We are able to create these finishes by using our specially manufactured chrome effect paints so you can have peace of mind that your alloy wheels will be restored to look brand new, once again. We can polish aluminium to a perfect mirror finish, with or without a bare metal lacquer application. 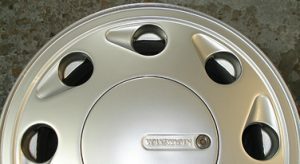 This finish can be maintained by using a chrome polish at regular intervals if not lacquered, this is especially useful where wheels are suffering from corrosion. To ensure the integrity of the aluminium is not compromised our ovens are regulated to a temperature no higher than 80 degrees centigrade. We have a wide selection of paints and using our colour coding techniques we can match any paint colour to suit your requirements. 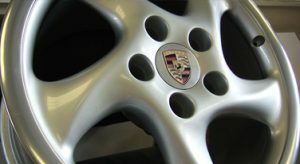 We do not powder coat our alloy wheels, click here to find out why. Refurbishing split rim wheels, until recently has proven to be quite a difficult process, however with new introductions and changes in technology it now becomes unchallenging for bolted rims to be repaired. Here at the Wheel Wizard we can refurbish both two, and three piece split rims. 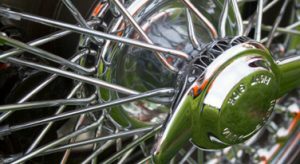 Our experienced repair specialists can refurbish and restore vintage, veteran, or classic wire wheels back to their former glory. Visual inspection will allow us to assess the condition of the wheel, and if considered repairable, they can be repainted to meet your requirements.